I love to think that when I pray for God’s Kingdom to come there’s a little more smoke in heaven. Today is a day of prayer for Synergy, as we are on the countdown to our 7th annual conference in Orlando. This year’s Synergy conference brings to a head a lot of thinking and wrestling over God’s purposes for his daughters and his sons, the state of our world, the good news we possess, and the need not only to be God’s representatives in this world as bearers of grace but also to be living examples of that grace by how we love one another and work together as the Body of Christ. If you are unable to join us in Orlando, I still think you should reconsider. Both women and men are welcome! 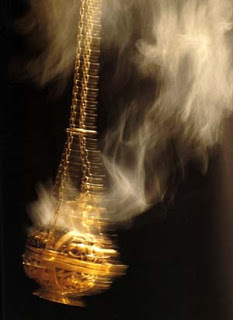 But at the very least, you can certainly join us this day by praying with and for us and adding to the smoke.